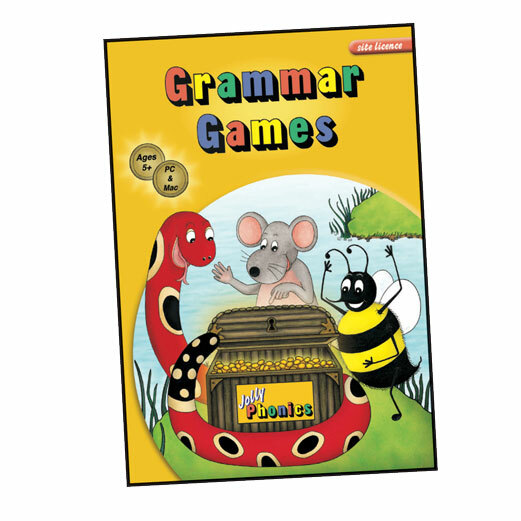 Grammar, Spelling & Punctuation resources for children aged 5-11. These handbooks are a complete resource for teaching grammar, including punctuation and spelling concepts to your class. Each handbook provides a year’s worth of structured weekly lessons for children aged 5-11 and includes detailed lesson plans, photocopiable sheets and activity ideas. 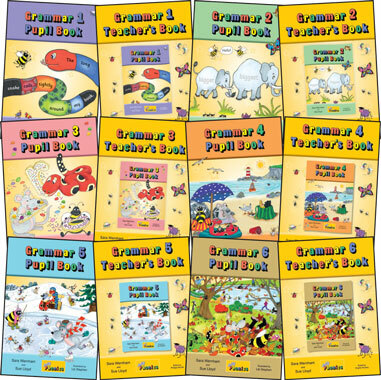 Each Grammar 1, 2, 3, 4, 5 & 6 Pupil Book contains a year’s worth of lessons, with detailed lesson plans for teachers in the Grammar 1, 2, 3, 4, 5 & 6 Teacher’s Books. 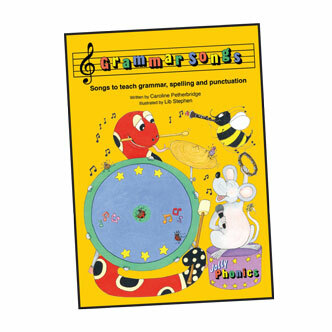 These write-in books can be given to each child in the class and provide lessons to develop key skills. 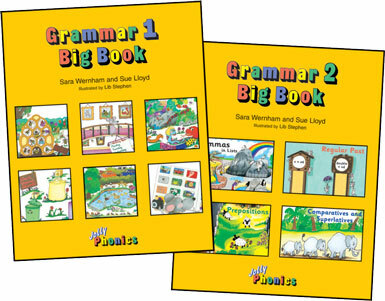 These books can be used as an alternative to The Grammar Handbooks or as homework books. Five exciting grammar islands for your children to explore and conquer with 15 interactive games to play that reinforce key grammar, spelling and punctuation concepts. 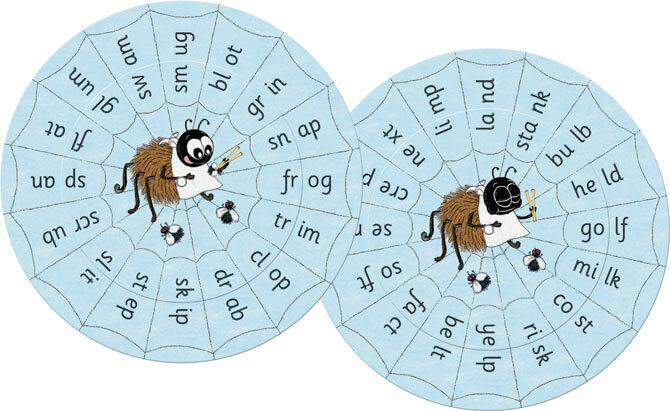 An enjoyable way for your children to build on the skills they have learned in their year first with Jolly Phonics. Each of the 6 workbooks provides a range of activities that develops their phonic skills, including writing. Also included in each book is a checklist to assess their progress. 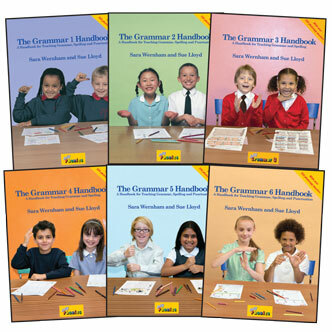 Ideal accompaniments to the Grammar 1& 2 Handbooks or Pupil books and for introducing grammar elements to your class. Comes with a wipe-clean sheet that can be used to complete activities with your class. Your children will enjoy singing this collection of fun Grammar songs as they learn key grammar, spelling and punctuation concepts. 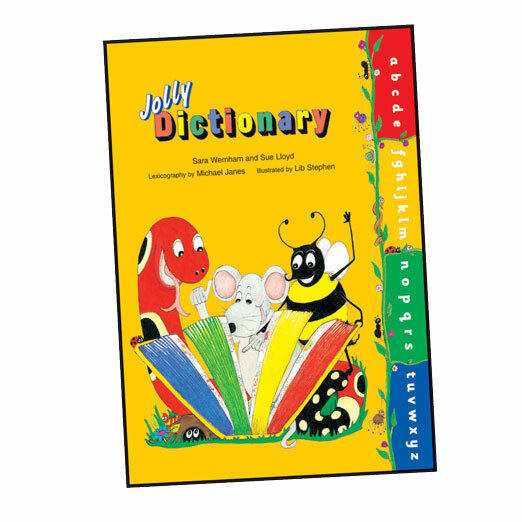 The award-winning Jolly Dictionary has been designed to teach your children how to look up and understand words they don’t know. Divided into four coloured sections to help your children to find their way through the dictionary easily. A set of 10 blends wheels that will help develop your children's awareness of initial and final consent blends. Ideal classroom activity and reinforces the grammar teaching.